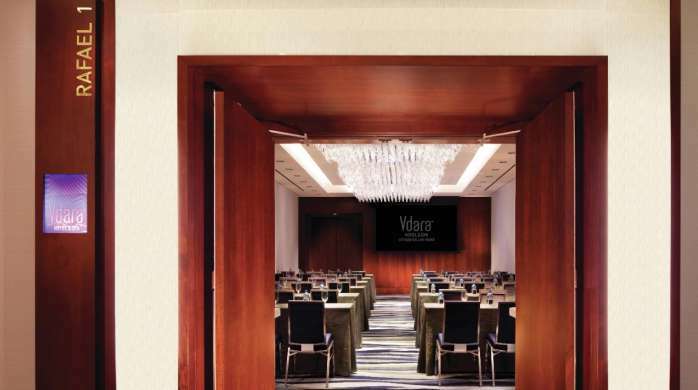 Vdara’s exceptional and intimate service extends to the meeting spaces – specializing in smaller groups from 10 to 300 guests. 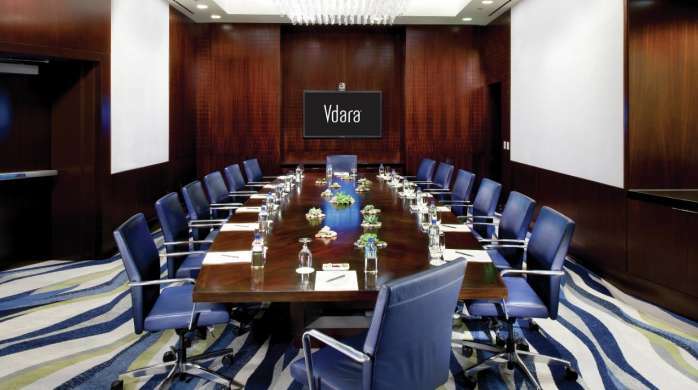 Meetings held at Vdara are handled by our experienced staff, in spaces designed with nature and flexibility in mind. 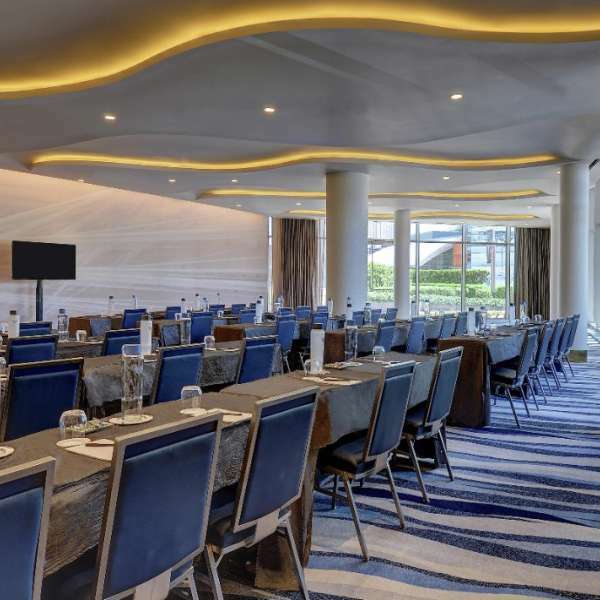 Up to 16,500 square feet of ground-level conference space provides a convenient setting for intimate meetings and food & beverage gatherings. The only thing planners have to think about is what they would like to put on their customized menu. 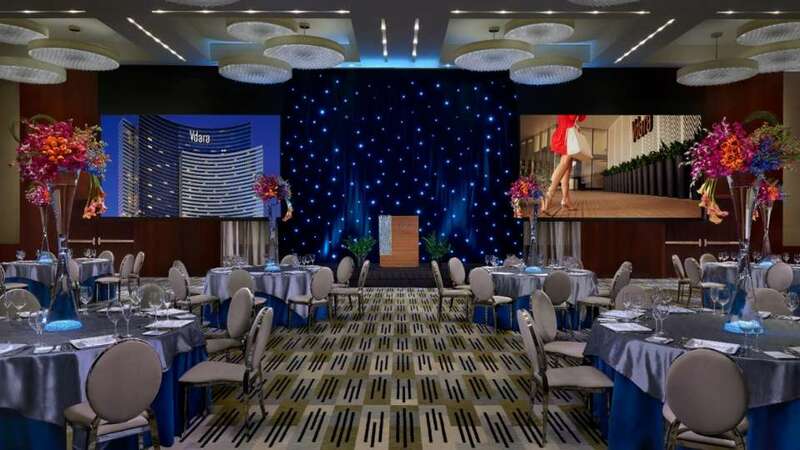 Aesthetics and location play a vital role in setting the tone in the Viñoly Grand Ballroom. 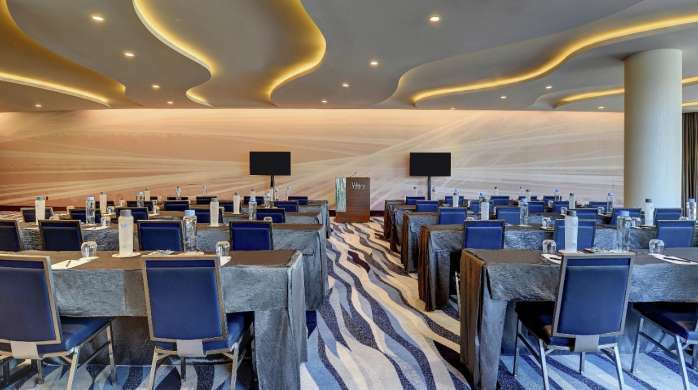 Using natural materials such as warm wood, sandstone and pebbles, the contemporarily designed meeting space, which is located just inside the main hotel entrance, is the only choice for those who prefer comfort and convenience. From corporate meetings to company retreats, this is the ideal distraction-free setting in Las Vegas. Only steps away from Vdara’s main entrance, this is the ideal atmosphere to conduct business. 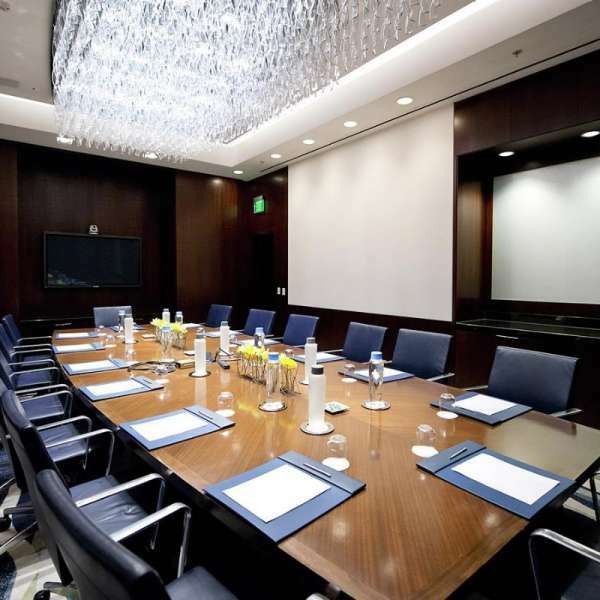 Whether a confidential session, a new product launch or a breakout session- when every detail must be perfect, choose the executive boardroom. 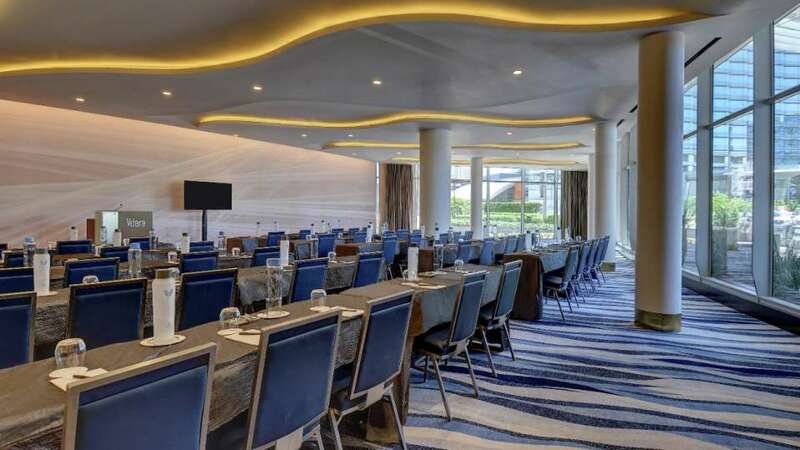 Ideal for intimate gatherings, small business conferences or banquet events, Silk Road is a unique and flexible meeting space, offering modern décor and floor-to-ceiling glass windows. 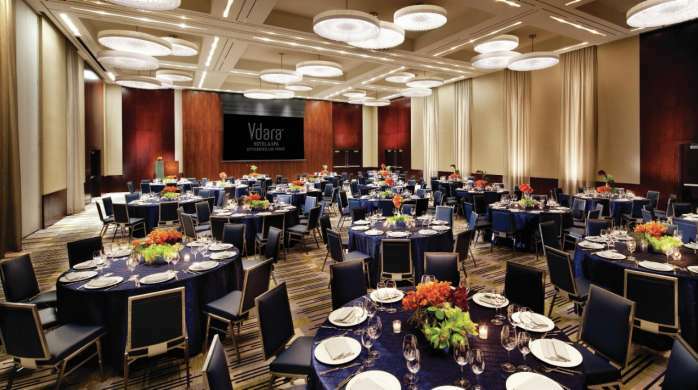 Celebrate your special event in the sophistication of Vdara. 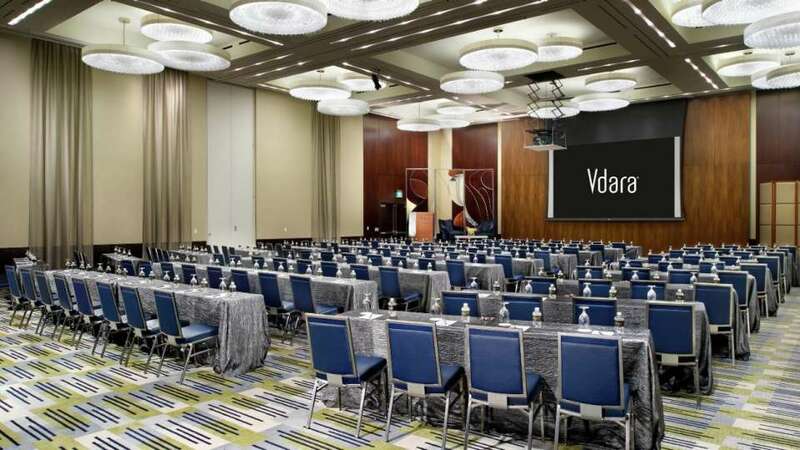 Vdara’s exceptional and intimate service extends to the meeting spaces – specializing in smaller groups from 10 to 300 guests. Unfortunately, no seats are available. Please select another time or call 866.391.7111. 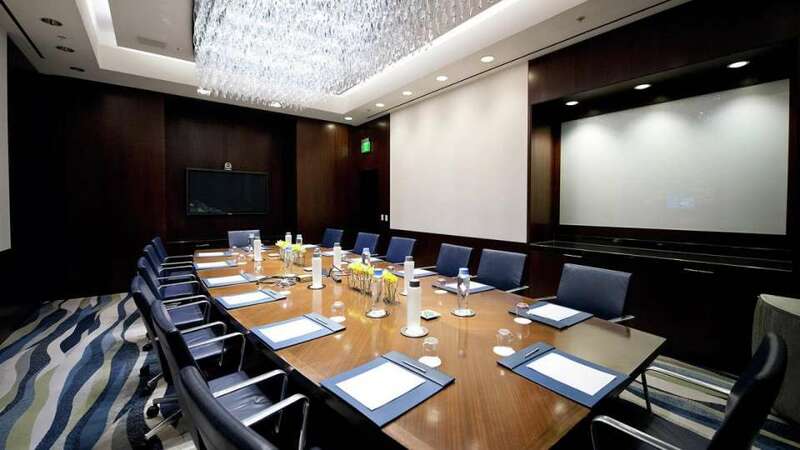 Meetings held in comfort and convenience. Vdara’s Catering and Convention Service offers a range of culinary menus created and customized by a master chef. Discover unique venues for your one-of-a-kind event. Vdara features a variety of ideal settings including our spacious Hospitality Suites, the whimsical VICE VERSA Patio & Lounge, and Pool & Lounge Vdara featuring cabanas, private retreats and stunning views. We invite you to celebrate your special moment in the sophistication of Vdara Hotel & Spa. When you host your private wedding reception, anniversary, or glamorous social affair at Vdara, the space and experience is intimately yours. 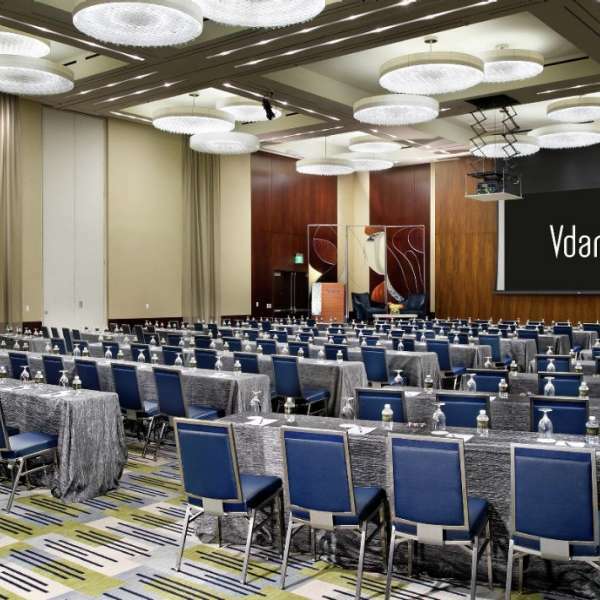 Updated policies and procedures for your meetings at Vdara.